It has become increasingly difficult to abstain from reinstalling Failbetter’s Sunless Sea, with its ominous underground ocean and superb writing. I could have happily continued to play after I wrote my Sunless Sea Early Access review, but I decided to wait until it hit version 1.0. Now that moment is almost upon us, but first, a new update that throws weather into the subterranean mix along with a few more features and tweaks. Most of the new features are directly related to combat, which Failbetter overhauled in a patch last year. Weather, for instance, has an impact on combat, slowing your ship down or reducing visibility. Is there a giant man-eating crab out there, waiting for you in the mist? Who knows! While combat plays a big part in Sunless Sea, it’s dwarfed by the stories the game drowns in. Stories and secrets are like currency in the Unterzee, and this update chucks in a few more. Importantly, it also adds “Your Father’s Bones”, which Failbetter describes as “the closest thing to a main storyline”. 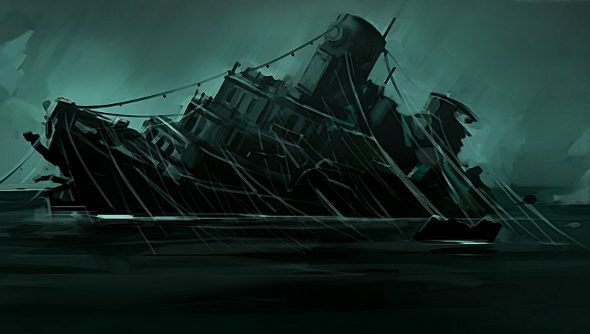 Sunless Sea will leave Port Early Access for the high seas of Version 1.0 in February. Take a gander at the next page for the full patch notes. There is now a chance of adverse weather in the Unterzee. This will affect combat, slowing you down or reducing visibility. Some beasties will flinch when hit, or grasp at you with their terrible claws. They’ll also die quite prettily. More coming soon. Some weapons will now stagger your enemies, knocking their crew to the deck and therefore setting back their preparations. They can also do the same to you! Some beasties can now start submerged and sneak up on you. Some combat items, such as the Rattus Faber Assistant, are now usable even when you don’t have a target. Combat items now have cooldowns, rather than warm-ups. Weapon damage variation ranges are now increased and scale with the amount of damage that you deal. Reversing speed has been reduced. Enemies should be able to spot you more easily when your lights are off. Trading ships should no longer infinitely spawn. The number of storylets that are displayed in the bottom right hand corner has been reduced from 8 to 7, to prevent issues on smaller monitor resolutions. If you reach a storylet you have to resolve, and choose to exit to the title menu instead of resolving it, when you load the game back up, you will not be able to close the gazetteer. Instead, you will have to play an available storylet or close the game and reload it in order to continue. Your Father’s Bones – the closest thing to a main storyline – is now available, complete with variant endings. You can now explore off the edges of the map, though no good will come of it. There is now a conclusion to the Salt-Lions story; in fact, six different conclusions, including an Easter egg Legacy effect. The Presbyterate Adventuress now has a storyline. The Icarus in Black weapon will allow you to fire monster-hunters at monsters. The Tomb-Colonist plotlines will now allow you to carry a party of bandaged hooligans round the ports of the Unterzee. You can now zail by Frostfound, Irem, Aestival and Sea of Statues admiringly (there are also some stories at each of them, though not final ones). Crying Heights is there to marvel over too, but be warned that there is no port. The beautification of the game continues at a hot pace, with many new and revamped port and item illustrations to discover on your travels.